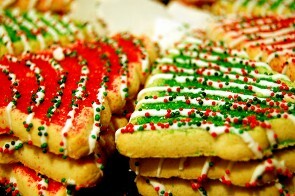 We often associate the holidays with our favorite foods and treats and look forward to the delicacies all year long. When making out your holiday list this season, consider given a traditional food gift to your favorite foodie to help them relish the culinary joys of the season. 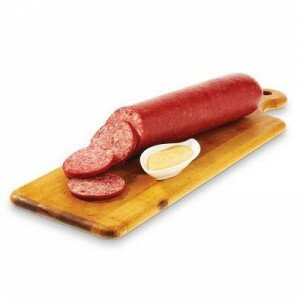 Gently smoked sausage infused with a rich, earthy flavor, is a perfect gift for a far-away foodie. Not only do sausages withstand the jarring jolts of shipping, but they aren’t too fussy or formal. They can be enjoyed alone or paired with cheese and crackers. 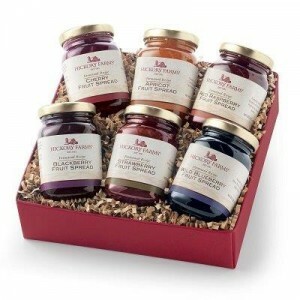 This makes for a thoughtful care package or hostess gift. Cheese is a versatile gift that can be paired with additional items, such as meats, fruits, or wines, but it is robust enough to be given alone. Whether you give a large wheel of cheddar or a wedge of Parmigiano reggiano, consider gifting a cutting board to make this traditional hostess gift even more memorable. Almonds, peanuts, cashews, chestnuts … nuts have long been given as a tasty treat. 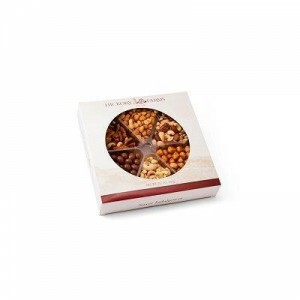 Whether given raw, roasted, smoked, or candied, nuts are often associated considered a sign of the holiday season. Consider a basket of these tasty treasures, along with a nutcracker, as a fun and festive gift this season. In the middle of winter’s chilly embrace, when fruits were out of season and difficult (and expensive) to obtain, a fruit basket was considered a luxury. 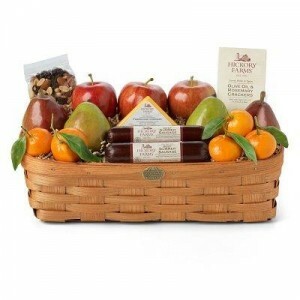 Continue this indulgence with a traditional fruit basket filled with apples, oranges, and bananas to offer a taste of summer’s bounty. Whether milk chocolate, dark chocolate, almond, peanut butter, or fruit based, fudge is a holiday mainstay. Add it to a gift basket, or give it alone as a sweet treat this holiday season. While fudge may be the main reason for the dreaded holiday weight gain, the holidays really wouldn’t be the same without this old-fashioned favorite. 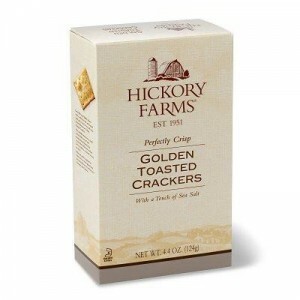 Perhaps not the most glamorous holiday gift, but crackers are decidedly under-rated as a food gift. 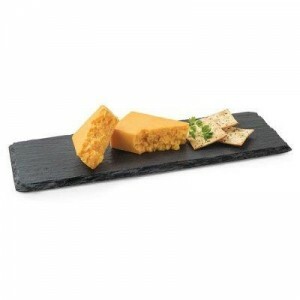 However, crackers are the perfect accompaniment to the cheese, meats, and savory spreads that so frequently gifted. A basket of water crackers, club crackers, herbed or toasted, these little wafers are the foundation of many holiday snacks and appetizers, making it the perfect hostess gift. Savory spreads, mustards, relishes, syrups, jams and jellies — condiments are the spice of life and help dress up the holiday table. Mix and match several varieties of your favorite type of condiment to provide a tasty treat for your favorite foodie. 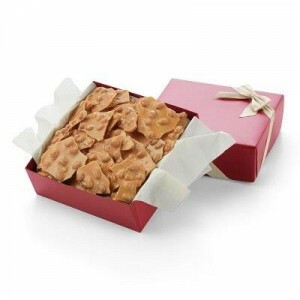 Buttery, rich, and sugary, with just a hint of a salt, peanut brittle is a time-honored confection for gifting. These amber colored slabs of sweetness embrace the earthy, salty peanuts. Unlike less resilient candies, peanut brittle travels with ease, and if a slab does crack or break—no one is any the wiser. Popcorn has come a long way from the splattering of butter and shake of salt that made it famous. 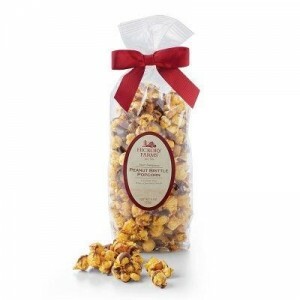 Now popcorn is often coated in caramel, drizzled with chocolate, and mixed with nuts. There are sweet varieties, cheesy varieties, savory varieties, and nearly every combination you can imagine. Popcorn tins have long been given as simple, always-appreciated tokens of caring during the holidays. 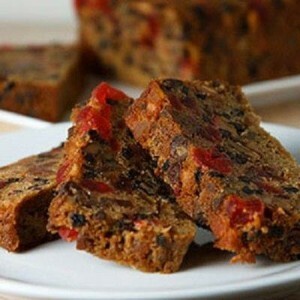 Perhaps the one food item most associated with the holiday gifting of food is the fruitcake. 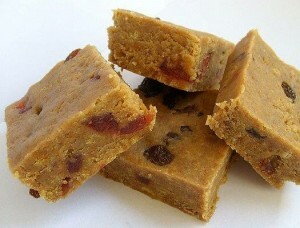 Unlike the unnaturally colored bricks that many associate with modern fruitcakes, traditional fruitcakes were dense and indulgent cakes, packed with rich, sticky fruits and dowsed with rum, brandy, or other alcohol based beverages to help preserve the cake. Fortunately, there is a resurgence of artisan fruitcakes that are helping to restore this much maligned holiday fare back to its once beloved status.